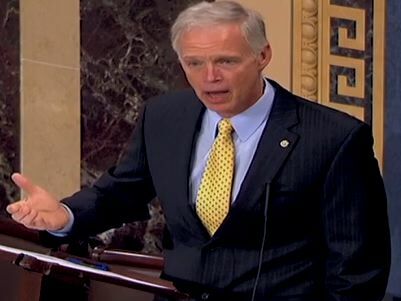 GOP Senator Blasts Secret Bipartisan Debt Talks: "Disgusting"
"I think the phrase I have been using, the Senate has been fiddling while America's going broke, and that's sad. And now I think as you pointed out as well, what does the financial future of America rest on? Some secret talks? Talks between a few individuals going on behind closed doors far from the view of the American public. Rather than an orderly process where a plan is presented, that can be viewed by the American public, that can be debated in ope. the way our Founders envision edit on the Floor of the Senate, this historic Floor. Instead of using the process that we should have been using, what's going to happen? Are we going to have a result, a negotiated settlement dropped in our lap what? A couple days before this deadline date? Is that what's going to happen? Is that really -- is that really how the financial fate of America is going to be decided? I mean, personally I find that process disgusting." Schumer: Using 14th Amendment To Raise Debt Limit Should Be "Explored"
Rep. Joe Walsh On Obama: "The Man's Got No Shame"